The Ramayana is one of the great works of world literature. In no other work of great literature has the island of Lanka, a character from it, and events taking place on it, have been immortalized. While we are obviously in the realm of myth and legend, there is no way in which the Ramayana would make such an abiding impact on the psyche of India if it did not have some foundation in experience, i.e. in actual fact. As in the case of the Iliad and the Odyssey, it couldn’t have been entirely woven out of whole cloth. One thing the Ramayana narrative makes clear that a land link between India and Lanka was of decisive and devastating strategic consequence for the island of Lanka. Or if one wishes to err on the side of conservatism, it makes clear that a land link could have a decisive and devastating strategic impact on the neighboring island. Imagine what the impact on the island’s destiny and autonomous cultural and civilizational character—including its linguistic, ethnic and religious character– would have been, had such a land link been a permanent feature. To move from literature to secular history, the Romans and the British made it clear that the building of roadways was an essential part of annexation and empire building. What is true of imperialisms gone by is true of contemporary regional sub-imperialisms. Prime Minister Wickremesinghe has discussed a highway linking India and Sri Lanka, and more accurately Tamil Nadu and Sri Lanka’s Northern Province, in his meeting with Indian Minister of Highways Nitin Gadkari. The PM has also invited India to build highways in Sri Lanka’s North and East, linking Mannar and Vavuniya, and Mannar and Trincomalee. DS Senayaka used the British connection – and the contentious Citizenship acts–to balance off India and minimize Indian influence on the island. SWRD and Sirimavo Bandaranaike sought to dilute Indian influence by immersing Sri Lankan in Afro-Asianism and the Non Aligned Movement. JR Jayewardene played North India off against Tamil secessionism and Tamil Nadu. Premadasa played Tamil secessionism against Indian expansionism/annexationism. Lakshman Kadirgamar and then Mahinda Rajapaksa strove to “Look East”, and used China to balance off India and the US. What was common to all of Sri Lanka’s leaders was to rightly regard as the worst case scenario, a nexus between India, Tamil nadu and Sri Lanka’s Tamil North. Prime Minister Ranil Wickremesinghe has overturned all that. He has openly called for Sri Lanka’s economy to be linked with five South Indian states Indian states including Tamil nadu, and he is giving India a large foothold in Trincomalee and the island’s North in general, through highway building and economic projects. He is also hell-bent on signing ETCA which will allow greater penetration of the whole Sri Lankan economy by India. I have not heard of nor can I think of a worse act of treachery by any Sri Lankan leader nor indeed any leader anywhere in the world today, and possibly during my lifetime (apart from perhaps Ngo Dinh Diem of South Vietnam). I am not naïve enough or perfidious enough, not to link politics with strategy. I have no doubt that future Wikileaks type material will confirm the joint Western imperialist and regional sub-imperialist interference in the ‘regime change’ of January 2015. Already the voluminous material available regarding other countries over decades, show that the same playbook was used. Many years ago the Chinese used to denounce this strategy, calling it “peaceful evolution”. It is in play currently in Venezuela, having been successfully used in Brazil. It is even being tested in Hong Kong and St. Petersburg. In January 2015 in Sri Lanka, the voting patterns in the North and East were absurdly skewed, with percentages recorded that were far higher than at the elections for the semi-autonomous provincial councils in the region—which were emotionally far closer to the Tamil people than a presidential election. It is outrageously naïve to think that an anomalous spike in the voting percentages in a permeable strategically sensitive periphery/border area only 18 miles away from the ethnic kin-state of Tamil Nadu, had no relationship with the strategic intentions of our neighbor. It is also naïve to think that the strategic salience of the island, which has been very seriously and explicitly laid out in Robert Kaplan’s “Monsoon” was not acted upon. His basic point was that a tectonic shift had taken place and that the Indian Ocean region had become/was becoming the center of the world as it were, and that Sri Lanka was the center of the Indian Ocean region. He also focused on the dangers posed to the US by China’s gains made by supporting the Sri Lankan state in the war and the inroads made by China in Hambantota. The project for the new Constitution must be seen from the point of view of both political economy and strategy. The breakup of states at the hands of the West and the creation of ethnic statelets through ethnic federalization which eventually leads to secession, is well known and documented. Marxists such as Samir Amin and James Petras have written repeatedly and at length on this. Iraqi Kurdistan is only the latest ongoing example. What is sought in Sri Lanka falls into that category. The project for a new Sri Lankan constitution resulting in a weak, centrifugal state, is the ‘superstructure’ or ‘cap’ on the strategic penetration and annexationism being sought by the hegemonic powers and implemented by their local puppet. Ranil’s Indianization and neo-colonization project has to be recognized as such, fought and defeated, if necessary by a reprise of Hartal 1953. May Day 2017 at Galle Face Green marks a beginning! Dayan Dr Always-wrong is going slowly loosing it. Sri Lanka history is always with the India. The development plan is simple. Ports. Ports. Ports. Get lots of ships coming in, sell them stuff like oil. Transport their containers. How to do it? Sri Lanka doesn’t have the cash. Colombo port is already great. Now we need more business. Hambantota is dead. The only people who can make it work are the chinese. So give them it. Get more business. Meanwhile the loan commitment will go down, and they will invest in the port. Then trinco, mainly for refuelling servicing the bay of bengal, India’s east coast. Then a road network connecting Trinco to Colombo to Hambantota and Southern India. That’s it. Ships in the east will take cargo come and dump some in Trinco and go on their journeys. The cargo can be transported via land to CMB and to India’s west coast or to India’s southern states via road directly. This is why Ranil was talking to the Transport Minister for road links. Very critical. Hambantota, same except not necessary. But since Dayan’s god Rajapussa built it and left us the bill, must make use of it. So let the chinese also put some cargo there as a counter balance to India and use the same network. Let’s not forget most business to Colombo port comes from India. Also the Chinese are investing in India heavily. All this ancient ideas are being fed to gullibales by these Dayaan Jaytilake types and other anti-intellectual bitter brigade. Let Dayan and his frog-in-well ideology rest in peace. Thank God now that you have dropped the ludicrous “Dr” thang! I share your concerns about India but not your hatred of Ranil. Ranil is here today gone tomorrow; the Indian problem is greater than Ranil. So cut down the bloody hyperbole. India is not a ever present threat, but the threat of India turning in to a threat is ever present. That’s what we/our-governments have to deal with intellect. And for the sake of the country, people who are less emotional and have more control over their emotions/faculties than you should be the ones formulating policy. Our greatest external threat is India, because of proximity. In Fiji, where the Indian population – which is greater than the indigenous population – is facing many discriminations, India doesn’t have enough boats to make up an armada to invade. But the crazy bastards can just wade in to SL. Our greatest internal threat is our own Sinhala-Buddhist leaders – others just can’t get into power to contribute their share to the destruction of the country. The threat to the country from our own “Sinhala-Buddhist” leaders is ever present and unceasing. The threat from Prabakarn/LTTE was always temporary. The length of his natural/violent life-span. India would have never allowed a separate state. But good old Prabakaran was the greatest showman Lanka has ever produced. What spectacular symbolic violence! Oh boy! It’s easy to say, since none of my loved ones got blown up by the LTTE. Then again, I’m a selfish guy. You can never insult me by calling me a smart patriot. Patriotism is for dummies, the clever ones make $18bil, buddy. Well, it isn’t difficult to guess what I would have chosen, patriotism or the money. There are a million or so “honest patriots” toiling their lives away in Arabia to contribute to the national economy. The “smart patriots” at home live lives of luxury off the hard-toil of “honest patriots” manufacturing “dangers to the country.” Sure, in that sense I would have been the smartest patriot Lanka has ever produced. Boy, you haven’t seen nothing yet; you are not even in the ballpark. Man, who are we trying to fool; ourselves? If that was a smart patriotic loot then its alright and acceptable. Looks like DJ is unemployed!Too many articles keeping coming in. Can someone give him a job please! Will Mangala consider sending Dayan as Ambassador to North Korea with immediate effect? Or to India where he will have to justify his 64 positions on India to Hindians who knew about 64 positions many many centuries ago. Let Dayan try his luck selling his madness to present day Chanakyas/Kauṭilyas/Vishnuguptas of the South Block. He is the advisor for racist politicians in South. Once the racist comes to power, Dayan will get the most important position. Its true than Dayan is writing too many article, but with two different name. The clan used him like a condom and chucked him on the streets not that Dayan protected anything while serving as ambassador. 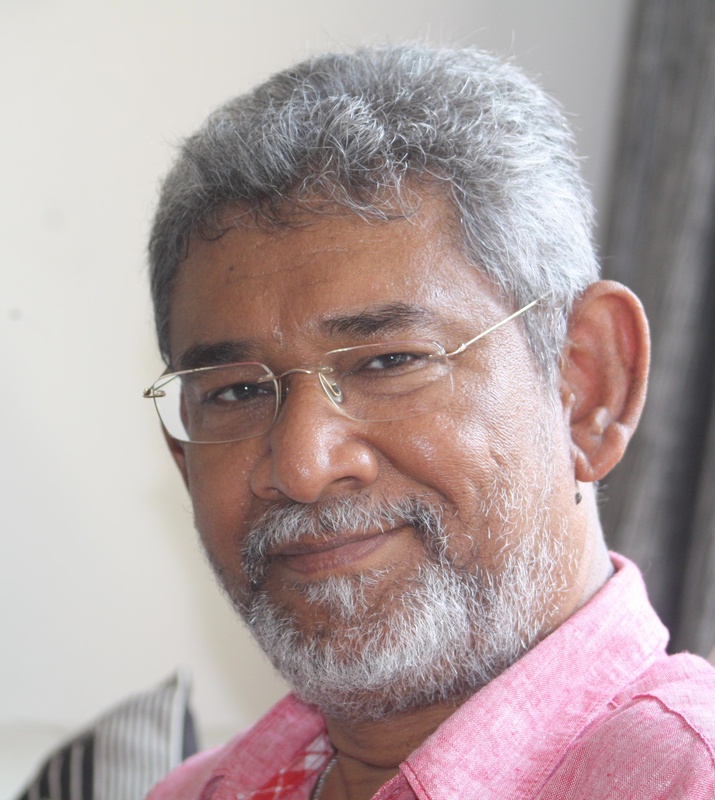 He was unceremoniously sacked from his post and MR insulted him on global television as being an employee of a NGO, an ultimate insult for a Sri Lankan, that was what MR thought. How come Modi and Ranil decide the fate of Elam Tamils? None of them is Tamil. Are Tamils just slaves to be kicked around by Colombo and New Delhi? Indian tamil estate labourers are Indian low caste people; they make great domestic helpers. This is a very bad remark made with poor taste. Especially coming from a Muslim ( if he is actually one), as Sri Lankan Muslims are largely descended the very same Indian Tamil castes, that he is derogatively referring to. This is the reason I always bring out their actual origin, as most of them try claim superiority over the island’s non Muslim Tamils, especially the Indian origin estate Tamils on the basis of a fake Arab origin myth, that is only partially true for a few hundred families. The rest of them are purely descended from the same low castes, as the Indian origin Tamils. When you state the truth they do not like it and call you casteist or racist. It is alright for them to be casteist and racist based on a lie and a myth that they are of Arab origin and go around acting superior posting nasty remarks. The ones who came earlier from India have now been converted to Sinhala/Buddhism hence don’t make even a lousy domestic helpers. Therefore they send their women folks to medieval middle-east kingdoms. What about Srilankan Muslims whose core genetic material is South Indian, who cannot trace their ancestry to any high caste family. Sri Lankan Muslims are also largely descended from the very same Indian Tamil low castes that the Indian Tamil estate works hail from. Is this the reason they love to be slaves to Arabs Arabic culture and love sucking Arabic Coca and getting kicked and used by Arab camels. At least the Indian Tamil estate labourers do an honest days job and still produce a very large percentage of the island’s wealth unlike the selfish backstabbing Sri Lankan Muslims, who are largely parasites and want to take advantage and thrive on other people’s misery. Around 50% of the present day Sinhalese including Dayan are descended from the same Indian estate labour low castes. Only thing they arrived a century earlier that the Indian Tamil estate labourers , from what is now modern Tamil Nadu and Kerala and changed their identity from Tamil to Sinhalese. “Sri Lankan Tamils” and “Indian Tamils” are same people. They speak the same language, follow the same religion and have the same culture. So are the Sinhalese and Sri Lankan Muslims. They originate from the Tamils. Indian or native Sri Lankan. Very little Aryan or Arab only in their wet dreams. The culture is the same. In the case of the Sinhalese due to conversion to Buddhism they bastardised their Tamil dialect with Sanskrit and Pali to gradually form Sinhalese by the 9Th century and in the case of the Sri Lankan Muslims other than their low caste Indian Tamil Hindu ancestors converting to Islam, the language and culture remained the same until a two decades ago, when they decided to slavishly imitate the Gulf Arab culture and discard their 1000 year old Tamil Islamic culture and become aggressive Wahhabis, promote Arab culture and Arabism. The person writing under the pseudonym Thassim is a Sinhalese chap from Vancouver. How come India decided the fate of Tamils as well as Sinhalese when they dropped parippu by air. This is life man . Both you and I have to accept the power of these do gooders until the Tamils and Sinhalese learn to work together and support each other. How come how come. How come the vast majority of the Sinhalese are so racist and it is Sinhalese racism and opportunism of these fake Arab origin immigrant South Indian Dravidian Tamil origin Muslims like Thassim who is a typical example of most of his community that is he real problem. One lot deeply immersed in the Sinhalese Aryan Mahavamsa myth and the other lot very opportunistic backstabbing self centred and selfish and will never admit to their actual core largely low caste Dravidian South Indian Tamil origin but will keep on repeating a fake Arab/Moor origin myth and as proof of this showing a few light skinned elites, thinking that a lie often repeated becomes the truth. They think by claiming mythical pan Islamic identity that the Salafists and ISIS promotes and a fake Arab origin to boot, they can escape Sinhalese persecution and help from the Gulf Arabs. They can dream on with their Arabian night fairy tales. They do not realise that there is no such thing called a pan Islamic pan Christian Pan Hindu or Buddhist identity and in the called Pan Islamic identity that the Wahabbi/Salafists.Isis promotes the Arab Sunni is the supreme. They want to claim and Arab origin and identity and promote Arab culture but want huge chunks of the Tamil homelands in the north and east where they arrived a few centuries ago as refuges, as their homeland. Arab good Tamil bad but Tamil land is good. If you want to be Arab go to Saudi Arabia Iraq or Syria of somewhere to north Africa. If you want to remain Tamil Muslim then you can remain in the north and east. I’m with you. Drop Rajapakses and come. Another cunning move by you to bring chaos on May Day at Galle Face Green by putting down India and glorifying China in your articles. Even though you are not a born Byddhist, are you prepared to burn a picture of an Indian/SriLankan Buddha and unveil an East Asian Buddha ? 1.Indian/Sri Lankan Buddha has sharp facial features where as the East Asian Buddha has contrasting facial features. Also one can easly deduce even from the lotus position of Buddha that Indian /SriLankan Buddha is taller than East Asian Buddha. 2. Are you for Theravada to be replaced by Mahajana ? We know DJ, the chameleon, changing colours to suit his personal interests! Jimmy is bit active these days. Probably he needs spanking. A word of caution ignore him if you see him having good time. NV, I was in Colombo meeting with Jim Softy the gamaya. He was actually not a bad fellow but bit of a clown. I was highly entertained by his rants. One thing he assured me was his rants will increase about the Tamil invaders who have come way after his Buddhist ancestors like Max the moron. I deeply apologized to him and took him out for a meal at a rice kadai which he has not seen in many years living in the wilderness. He was given rice and fish by a northerner and he was excited a Tamil bought him food and a Tamil served him food. After eating, he had a stomach upset and he left pissed off at me and the kadai guy. I think he was on his way to meet the Parayapaksa coolie Dayan J.
SL cannot geographically un-moor itself from its current location and move towards Singapore. JRJ was the first foolish man to try to cosy up the US and ASEAN thinking he can get SL membership in ASEAN. What was the end result? Indian intervention and destabilization of SL during the Cold War because they hated the US back then and felt their southern border was under threat. VOA in Marawila was one of their concerns. Rest is history as we know. MR veered towards China for development and cash. China has definitely been a consistent supporter of SL but it cannot and will not intervene if India invades SL. Neither will the US. SL has to recognize Indian paranoia about China. US and India are now military and strategic allies and also trading partners. Indians in America are also a powerful lobby. So picking fights with India will not work. I must hasten to add, there was a specific reason DS and other patriots preferred Ceylon remain a Dominion Republic with British Bases. A lot of the arrogant Hindi speaking Indian leaders wanted to absorb Ceylon in 1948. But that was the past. We cannot move away from India. If India invades no one will help; JRJ learnt that lesson. Ergo, best is to have closer links. Eventually overpopulated piss poor Indians will want a new place to move to and RW can use that bridge to bring in Indians and have a sort of a mini EU. But Nepal knows what happens. They cannot stand the dirty politics Indian Biharis engage in and the sabotage they resorted to. But India will soon intervene or even create chaos if we do not bend over; no other choice. Tamil Nadu’s economy is booming. Why not woo them? I fully agree with you. I hope electors in Sri Lanka realise this and for that to happen Sri Lankan Govt must find a way to effectively communicate to the public, the masses, which is not happening. Unfortunately for Sri Lanka, MRs gang including this joker called Dayan is doing a much better job. Hopefully if you have access to those in power would convince them to do this. VOA in Iranawila was agreed in December, 1983 and started to build in 1993. Mrs Gandhi send the troops in 1971. Lankawe allowed Pakistani planes in 1974. She attempted to please Sirimavo in 1975 by giving away Katchatheevu. JRJ called her a ghost when Morarji Desai was in power from 1977 to 1979. JRJ condemned Mrs.Gandhi a ghost when she did not have power. Then she noticed, unlike India and Congress, Lankawe had been changing the state heads in every election. If she please left sided SLFP, right sided UNP will stink her. So she wanted to teach Lankawe a good lesson. It was Mrs.Gandhi who had prepared for invasion. But she was shot. India had started to help rebel long before even December 1983. Black July 1983 had shown that rebels have had arms to take on army. Those arms were supplied by India. Rajiv messed it up and was badly beaten by up by JRJ in Colombo. So he send the troops in. In any case Lankawe misunderstood its ability. Whether you like it or not, we are Indian, just as much as a Taiwanese is Chinese. Go look in the mirror. Do you look like Sun Tzu, even though you might imagine you have his strategic brilliance? Whom are you trying to impress ? Your monumental historical ignorance does not allow you to see that 90% of our foreign (if we can call it that) dealings have been with South India, quite logically. There have been wars and invasions,but most population movements have been peaceful, your own ancestors included.So it is in very poor taste for you to carry on with this regular and irrational India-bashing. Ranil is quite correct in linking up with South India.If your current mates were capable of shedding their monumental racist arrogance 10 years ago, they would have done the same.But then they had an “adviser” called DJ who was more interested in linking up with Cuba . Now, remember, this Land is the Land of Native Veddah Aethho, and they claimed it by walking between 10,000 and 30,000 or so years ago. All the others are Paradeshis, Foreigners, Paras from Bharat, Damba Diva, India. Genetic findings in additions to other findings support that. The land was already subject to waves of illegal Bengalis, Orissans, Kalingans, Tamil Naduans, Keralans,and other Paras over the past 25 odd centuries. It may be a good idea to keep the New Paras from the old Paras, the Para-Sinhala, Para-Tamils, Para-Muslims, Para-Portuguese, Para-Dutch, Para-Malays, Para-English and other recent Paras. What about sending all the Old Paras who came illegally by Hora-Oru, Kalla- Thoni and Illegal-Boats be with their long-lost cousins in Bharat, Damba Diva, India. After all, in Ramayanaya, the Paras went back home, with their monkey army. Or would you prefer the Chinese, as Paras? They do pay bigger commissions. Aak Mahinda Rakapaksa. DJ’s essays are not analytical pieces based on evidence and sound principles of reasoning but the manifesto for the next political moves for the Rajapakses. All these allusions to Lenin are mere pedantic exhibitionism.If he must refer to Lenin he must ponder another Leninist argument:How Jayatilleke has become the ‘useful idiot” for the Rajapakse clan. DJ is a paid shill for Mahinda Rajapaksa and cronies. What was he promised in addition to the shill allowance? This guy definitely in cuckooland. Another meaningless article fitting into the koheda yanne malle pol category. CT please stop inflicting your readers with these stupid articles written by DJ. Forgive this dirty joke of old times. “Nehru sojourns with Sirima. Says:” Lankawa magay Athey” Sirima purrs back: “Indiyawa magay pukkey”. Whatever the 64 positions of the Kama Sutra, this is the true position of Indo-Sri Lankan relations. It is based on the fact that India is, as the article points out, just 18 miles (more like 12 kilometres) away from Sri Lanka. And Tamils live on both sides of the 18 miles. This will never change. It cannot be changed. It is a given consent. So, this person can rave and rant. Nothing will change. India is there to say. As re treachery, is there greater treachery than MR signing away Colombo to the Chinese. Be real. We have been hocked to our teeth by debt to China at over 8% for many years. Our affinities are with India. Buddha is Indian. Hinduism is Indian. All Sri Lankans, except Native Veddah’s people came from India. It may be vote politics to raise this Indian bogey. India is rising. It is best to hook our little shack onto that rising state. Native’s people also came walking from India. Only the Malays and Burghers and a very few others didn’t. My ancestors were here well before the island was completely separated from mainland India. My ancestors walked all the way along the western coast of India for many years to reach here some thing like 40,000 years ago. However the ancestors of Tamils and Sinhalese landed here on Kallathonis. I hope you understand the difference between my people and the recent arrivals who started arriving on the island say about 2500 years ago, according to eminent historians. Can you dispute their often stated position on the discovery of this island which never existed before until the arrival of Vijaya, similar to Columbus discovering America as if the American continent never existed before? On a related subject, did you know there are Malays in Madagascar? You mean MR clan has extended families in Madagascar? Yes Malays were part of Dutch slavery/mercenary trade. During Dutch period Indian Ocean trade in Slavery was at peak. Malays were traded or taken to Mauritius and Madagascar. By the way Ehelapola and Pilame Talawe were exiled to Mauritius. DL when it comes to rational reasoning, sincerity, honesty, and consistency you are nowhere near Laksiri. LIE LIE LIE. Even by DL standard this is low low low. It was Nitin Gadkari who raised the Straight bridge/tunnel. Ranil said “No. No We cannot afford this” This is a diplomatic way of saying “Absolutely not”. This guy Nitin wants everyone not to waste their urine. “Use it to fertilize the garden plot” he pontificates. During the recent Indian demonetization exercise Nitin chartered 50 planes to carry VIPs from Delhi to his son’s (or was it daughter’s?) wedding. If this happens GoSL will be the owner. Can you see the difference between this and Hambantota port? You are anti-Srilankan, anti-buddhist, anti Tamil, anti-democracy, anti-peace blood loving b…..d looking for blood bath in the soil. You think your writings will encourage Buddhists to go against India and India will destroy Srilanka. Don’t think Sinhalese are fools to fall in your trap to destroy Srilanka. Most of the educated, cultured civiliased people encourage non violent peaceful ways to bring peace and harmony. There is no one to listen to your rubbish analysis other than Gotapaya. One thing the Ramayana narrative makes clear that a land link between India and Lanka was of decisive and devastating strategic consequence for the island of Lanka. Is there a land link between America and Spain? Is there a land Link between Britain and Australia? What happened to the aboriginals on those lands? Is there no land link between North Korea and South Korea? Is there no land links between Italians, Germans and the French in Switzerland? Why Thero always dies with one sided examples? Can Thero bring Kuveni into these debates to tell that there was a land link between Lankawe and India that was why her generation was wiped out of by Thero’s great Grandfather Wijeya. Rama was Dravidian king. Ravana was Dravidian King. What an Aryan Thero has to do with this? Thero has to wake up to come to know that America has Mother of all bombs and Russia has father of all bombs. The next war, while Thero is having his foreign liquor at his table, will be fought by robots shooting each and dying themselves. We don’t have to go in-between them. To move from literature to secular history, the Romans and the British made it clear that the building of roadways was an essential part of annexation and empire building. Is this something new for CT readers? Isn’t this what Native Vedda has been writing on the CT “morning and evening two time a day”? If you go back to Tamil Nadu, the most probable place you came from, he will gazette all your entire roads to Wilpattu Jungle! Can you leave please to Tamil Nadu so the roads can be closed? “DS Senayaka used the British connection –………. and used China to balance off India and the US. The only missing part in this long list is Karunanidhi, Chidambaram and Sonia Investing in Old Royals’ projects an Old Royal building garments factories employing 13,000 Andhra employees from the looted money. I have no doubt that future Wikileaks type material will confirm the joint Western imperialist and regional sub-imperialist Don’t wait that long. Check up with Sumanadasa Abeygunawardena, please. ”He is also hell-bent on signing ETCA”. IMF saying India is going to be the 4th largest economy, soon. This not China there you can export nothing including garments and tea. Do you want access to that market or not? There are many Austin car part makes in the South can make real car parts and sell it to Tamil Nadu, instead of the Volkswagen factory . To stop China’s Colonization by Forfeiting” ETCA is the solution. Great, Malle Urine. You have done it correctly this time. Italicizing and Bolding – not balding – booo…lding. I will be following your fonting future with consideable interest. Hey, I was watching a woman astronaut on TV in the ISS (not Islamic State, Silly, International Space Station), and she said that water is so precious up there that they drink their owm urine. Good idea for Urine carriers like you. Drink it, don’t carry it around. At least you will spare us of the stink. I wanted to keep up underneath of me the mouth wide open and I did what you hit on lately to make you are not easily slipping away. I know to bait a pig with what it grazes on. Sirimavo too did know to bait and milk votes. It is easy watching their mind. She said she will bring rice from moon Modayas to eat. Modayas believed it and kept their mouth wide open under the sky if it is going to fall down in. But Sirimavo cut the rice and fed the Modayas with Yuka yam. Believe me, I am not Sirimavo or a cheater who write Banda-Chela pact. Please keep your mouth wide open underneath me. You are promised of your prize. So, always keep you filthy mouth wide open underneath me. It will get what it deserves. war of the roses(laksiri red rose,dayan white rose) is going to go on and on. for those who don’t know of the war of roses,the final victory went to the house of lancaster(symbol red rose)when henry tudor defeated richard the third.The house of Tudor ruled the kingdom of England till 1603,until Elizebeth 1 passed away. China’s maritime interests already reflect its status as the world’s largest exporter and second-largest importer. Many of the world’s biggest container ports are in China. It controls a fifth of the world’s container fleet mainly through giant state-owned lines. By weight, 41% of ships built in 2012 were made in China. India is paranoid and suffers an inferiority complex after 1962. But reality as Willy Brandt said REALPOLITIK is India and SL are bound by geographic reality. We cannot piss them off. Why providing persuasive suggestion to India that it has no way to secure itself by standing in solidarity with unitary state of Srilanka. Thank you for letting us know all Srilankan leaders all these years cleverly deceived Indian leaders. something at last for us to be proud of our leaders. You are saying by your way only we can deceive Modi too. Isn’t it true If anything to learn from recent history its Srilankan Tamils who sacrificed their flesh and blood to keep tamilnadu where it belongs. To learn from past history ask any up country Tamil person. Srilankan Tamils in tamilnadu refugee camps may educate you more. Please show some respect for your fellow country men’s dignity. please respect the May Day. I think CT should stop publishing this Garbage by DJ. He is on a contract given by someone to bombard airways and the print media to attack the present government and its leaders on one hand and to tell us that Gota is the only one who can save us from the tragedy we face because Ranil signed some MOUs with India. He repeats this month ra over and over again. Why? He knows that when the same thing is repeated over and over again,then readers tend to think that there is some truth in it. Even a lie can become believed truth when repeated. This is pure brainwashing. Remember MR era? How his clan controlled the media? Only one truth was told to people,no criticism allowed. Those who criticised,ended up under the ground or other mysterious places. All that took place under Gota. Dayan is trying to sanitise history under Rajapakses and sanitise the principal architect of the MRa rule partly by attacking Ranil and Maithree and partly by praising Gota. The short sighted Ranil and Maithree can’t see this conspiracy,otherwise they would bring the culprits who murdered many innocent people during Rajapakse era to book,and those who corruptly got public property to themselves to book also without further delay. DJ seems to be working 24 hrs a day fir the Rajapakse clan and to revive its political fortunes by constructing fear about China or India. Indirectly an axis including the U.S. And Japan. Fear is the principal governance strategy employed by Gota while MR was frequenting temples and Basil was emptying the treasury through Divi Naguma etc. they used the opposite of fear ,ie.praise of the war winning leader also to construct the image of MR. We had a government and a parliament that was controlled by the clan. If it continued, MRs son would have become the Chief Justice too. By what DJ is doing now, meaning the construction of a new political duscourse based on the fear of Indians and the Chinese,etc he is trying to subvert the previous discourse against Rajapakse clan and get people to focus on his new discourse. Don’t fall into this cleverly woven trap. He shouldn’t be given this much space in the media to utter this non sense. If MR was president, he would have signed contracts with China,Russia or even India to develop Trinco area. DJ wouldn’t have a problem. when will it ever end? 2020? Please find him a job perhaps in France, wine tasting aficionado, connoisseur of wine, from morning to midnight which hopefully sober him up. A guy (Dayan) who is not an economist, but a blabber mouth, is trying to comment on economic activities of SL. It does not matter which country is investing or getting involved in developing SL, all that matters is the territorial integrity of the country. As long as the security of the country is guaranteed then Sri Lankans need not worry. If SL or for that matter any other country does not get involved in international relations why do we need diplomatic institutions? Dayan thinks he is God given gift to diplomacy, but his writings show clearly he is not a diplomat but a puppet of the rogues and politicians who were kicked out of politics but still do not accept that they were kicked out. Dayan is also like the animal that jumps from branch to branch, he has party to party for his own benefit and his writings displays this trait of his. I predict the biggest rally will be the UNP’s. MR and his hora sibling cannot even find one fifth of people to fill Galle Face and will make excuses. SLFP will also have pathetic rally in Kandy with gamarala amudey man and his thug son and kudu Dumi Gen Secy and get egg on their faces. My prediction, JO rally will be a big FAILURE. these, oh! so many anti-Yahapaalanaya rallies. You know bath gotta, arrakku bagayak and Rs.1,000 per person has exponentially blown up in their face. Worst, the big bucks from drug traffickers (Kudu Duminda and the lot not excluding kudu Dimu)and the Container Smugglers have either stopped or are going to the other side. 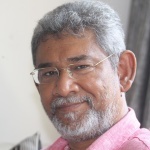 Shrewd Ranil and his clever sidekicks are not going to have elections soon – local and whatever – creating conditions for more rallies so that the Rajapakses will go broke soon. Set a crook to catch a crook is the name of the game – all the knowing people are tellin. Only fools and traitors will disagree with Dayan’s reading of Ranil’s attempt to Indianize Srilanka. Sri Lanka has been betrayed throughout our long hisory b y our own people. DJ has mentioned the Ramayana and the strategic importance of the Hanuman bridge which is a prize gift to India. But it was the treachery of Vibhishana that helped Rama to defeat Ravana. He counseled Ravana to surrender to Rama and said “If we oppose Rama defeat is inevitable. Our fortune is sinking…. seek Rama” pardon and save our kingdom, lives, possessions and honor.” With that he defected and joined Rama. For this treachery he was rewarded with the kingdom of Lanka. The original versions are Telugu and Tamil. HIndi is the dubbed version I personally find the Telugu version the most beautiful to listen, as it is basically a Telugu and it is a very beautiful language to compose music like Italian the words end in vowels. Again you can get them to dance and sing in the original Tamil/Telugu languages or in dubbed HIndi version. This man is insane. He has just one obsession. That is his hatred of Ranil Wickramasinghe which seems to be the driving force of his life. Every single noteworthy incident that happens in Sri lanka or abroad is twisted to be used as a justification for ousting RW from a position of power.He seems to live just for this purpose.I am not a fan of RW either just as I am not a fan of MR CBK or even MS.H’ever this unnatural hatred of RW by this [Edited out] is uncanny, ridiculous & so extreme that to expect a balanced review from a person with this kind of obsession is impossible.I don’t know why CT continues to publish articles from this [Edited out] with a proven track record for showing he can never be reasonable.They say hell hath no fury like a woman scorned but in this case it seems “hell hath no fury like a man scorned.” Wonder what Ranil has done to DJ to deserve this fury. If you really know RW, you would not have made the above comments about DJ. DJ is a product of the corruption circles lead by RW, MR and CBK. He has intimate knowledge about these three vile Machiavellian. So enjoy reading what these fellows (the boys running errands to RW,MR,and CBK)have published in the media.